A rarely spotted phenomenon, sometimes acknowledged by one or two of the more astute political pundits, is that the Labour Party has moved away from its core of working-class voters. The leadership has now fully embraced the demands of its middle and upper-middle class hierarchy and has gone full-on Quinoa Marxist. However, the Labour Party is not alone, because the Conservative Party has also moved in the same direction, albeit not quite so far. The leadership indulges in wholesale political correctness. It then signals its virtue by casual obeisance to whichever favoured minority group is flavour of the week. Accordingly, the Tories have also stepped away from their voters – most of whom are utterly bored with this infantile nonsense. There has been some floundering recognition that the sheer nastiness of the Labour Left is causing some Labour MPs to panic and talk of forming a new centrist party. But that will only occupy the same ground that the Tories already occupy, by virtue of their own leftward manoeuvrings. Talk of a Tony Blair led centre-left party, perhaps embracing the Liberal Democrats, would be a move into an already overcrowded marketplace with decreasing numbers of voters to whom this will appeal. Tony Blair is the most toxic brand in British politics. Largely unrecognised by the punditry is the awful void that this has created in the minds of the public. Surrounded by the magnificence of the heaving metropolis and the constant roar of traffic, the political elites are unaware of matters outside their own remarkably restricted bubble. They believe that they are the masters – and that we, in the ‘provinces’, will follow wherever London leads. And whilst they continue to be as arrogant and hubristic as they are, they will remain unaware of the quiet revolution brewing outside the claustrophobic confines of Inner London. Now that it is September, school holidays are over. The weather is taking a damper turn. In the darkening evenings the village halls and community centres all over the country are bustling with activity. These rather dowdy but well used buildings have their car parks filled and the main halls are occupied with ladies’ yoga, or oriental martial arts of some description (the halls are filled with the thudding of twelve-year olds hitting the mat in a heap, thrown by cool seven-year olds who are half the weight of their elders). Or the halls may be filled with the reedy squeezings of an accordion and the merry jingle of bells, the stamp of feet and the waving of freshly laundered hankies, as the local Morris Dancing group practice their moves. But these bucolic stompings are but the ordinary rhythms of the seasons in passage. This is not what we are looking for. The quiet revolution is being hatched in the back rooms of these village halls. Around the table will be a dozen people from a variety of backgrounds – builders, tradesmen, white van drivers, local business owners, the odd keyboard warrior, retired doctors and lawyers and so on. The Chairman could be any of these. Apologies for absence are received and noted. Secretaries report that membership is going up; treasurers report that bank balances are in the black and there’s even a small surplus to return to Central Funds. The agenda is (mostly) adhered to with customary restraint. Until finally it gets to ‘Any Other Business’ and then the room lights up. Ideas are floated, examined, shot down in flames or adopted as working possibilities. Mini think tanks are mooted, policies proposed. Answers to questions are sought and resolutions made; strategy is agreed upon and tactics debated. 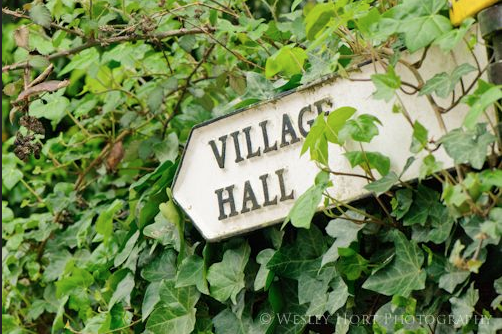 It is here, in these dowdy village halls – not in the august chambers of Westminster or the elegant terraces of Downing Street – that the next revolution in British politics is being shaped. The referendum was just the beginning. The last time a revolution occurred in British politics was in the General Election of 1997. This was when Tony Blair and Gordon Brown, then the fresh young faces of an increasingly competent opposition, took on an ageing and fractious Conservative government lead by John Major, and won a landslide victory. In that election, the Liberal Democrats actually lost 700,000 votes compared to 1992, but the vagaries of the first-past-the-post system allowed them to gain an extra 28 seats. The Conservatives lost 4.5 million votes. From a comfortable majority of 50 seats in 1992, the Conservatives were humiliated, lost 178 seats and then relegated to opposition for thirteen years. Overall, about 40% of people who had previously voted Conservative, voted for either Labour or the Liberal Democrats. Many Conservative voters voted for the Lib Dems because they could not bring themselves to vote Labour. Nearly 3 million people who voted in the 1992 General Election did not bother to vote at all in 1997 – a 9% reduction in the number of votes cast. Most of the causes for this dramatic change in public opinion lay in the government’s handling of the exit from the Exchange Rate Mechanism caused by ‘Black Wednesday’; when the activities of George Soros resulted in an estimated loss of £3.3 billion from the economy overnight. A recession followed because of very high interest rates. In the meantime, attempts to implement the Maastricht Treaty into British law were frustrated by Conservative rebels. The ensuing continuous discontent resulted in a steady drip of bad publicity for the government, until catastrophe hit them in the 1997 General Election. The message often taken home from this is that the electorate will not tolerate division within a government. But that is not all – the public demand economic, fiscal and administrative competence. These were all qualities markedly lacking in John Major’s government and it was this breakdown which caused the punishment in the election. The parallels between then and now are becoming starker by the day. The government has been running a two-year battle against a group of prominent Conservative MPs who are a mirror image of the 1997 Maastricht rebels. The former wanted to keep the UK out of closer union with the EU: the latter want to keep us in. The news has been a daily round of sniping, wildly exaggerated claims; demands made by the EU which are completely contrary to democracy and the result of the referendum; nonsensical concessions made by the government in response to unreasonable demands; and continual political capital expended over the Irish border. Gradually, the Prime Minister’s promises made in her Lancaster House speech have been watered down. Jacob Rees-Mogg has described the policies now on offer as giving the UK the status of a “vassal state”. As I write this, a leadership challenge against Theresa May is expected within “days”. The whole of Westminster appears to be in chaos and the public are thoroughly fed up with the lot of them. The anger which is felt towards the Chequers proposals is being loudly and forcibly expressed by Conservative Associations across the country. Increasingly, Conservative Party members who turn out willingly to deliver leaflets on behalf of their candidates, are suggesting that they will no longer do this. When Peter Bone told Theresa May exactly this in Prime Ministers Questions, he was treated to May’s contemptuous non-answer. Theresa May was expressing the contempt towards ordinary party members, and the electorate generally, which is common currency amongst nearly all Conservative MPs. There seem to be only a handful of MPs who actually value their members and constituents. The Labour Party is little different and may actually be even worse. At the moment, UKIP are registering at around 5-8% in the opinion polls. As such, the Westminster punditry has dismissed UKIP as a busted flush – a bunch of single-issue populists who are not worthy of serious attention. The raison d’être for UKIP – the referendum – has been fought and won, so this motley crew of far-right golf club and pub bores can shuffle off into obscurity. Or so the contemptuous Westminster correspondents (and MPs) will tell you. But UKIP are poised, waiting on the periphery of this moral and political vacuum. They have quietly re-organised. Their local groups are coming out of hibernation and their finances are said to be in order. Gerard Batten has been speaking about a number of things which have struck chords in the minds of the public. They have conspicuously embraced freedom of speech – and a number of prominent internet bloggers who loudly and continuously criticise political correctness, have joined the party. Under Nigel Farage, UKIP have been consistently right about a number of things: The consequences of wholesale mass immigration into Europe from the Middle East and North Africa; the consequences of eastern European mass immigration under Schengen rules; the increasingly undemocratic nature of the EU and its institutions; the impoverishment of Greece and southern Europe; the formation of the EU army, and many other things. Unlike the Lib Dems, UKIP have not been blemished by close association with the Tories in government. In stark contrast with the Labour Party, any member accused of any form of racism, antisemitism or other unacceptable behaviour is immediately suspended, investigated and, if guilty, thrown out of the party. The whole process, from suspension to sentence, takes only a matter of days. In 2015, nearly four million people voted for UKIP. They came second in many constituencies, throwing Labour into third place. Some Lib Dems candidates not only came fourth, but also lost their deposits. Despite the vagaries of the First-Past-The-Post system granting UKIP only one MP, the results were sufficient to push David Cameron into having a referendum on membership of the EU. Thus, UKIP directly influenced government policy in a way that no other opposition party has ever achieved before or since. Compared with 2010, the 2015 General Election saw an increase of one million more voters. There were reports of people who had never voted before coming out of housing estates that were traditionally thought of as being mostly non-voters. A year later, in the 2016 EU Referendum, a further 2.9 million people voted. From the electorally dead years of the early 2000s, people became progressively more politically animated and inclined to vote. Even without Brexit, there are serious social, economic, political and foreign policy problems that will hit the UK over the next decade. Conversely, there are a large number of opportunities for our nation to rebuild its self-respect and standing in the world. The country is crying out aloud for constructive, positive solutions. But the political establishment is not listening. It is deaf to all offers of help. It is blind to the proffered hand of support. The consequences of the Parliamentary Conservative Party’s mutton-headed isolation from the rest of the world are perilous. They are propelling themselves into a kind of inverse repeat of the Maastricht rebellion during the 90s. Their inability to heed the very obvious public disgust at their continued delays and disruption to Brexit, are very likely to lose them 40% of their vote – just as they did in 1997. UKIP, if they are so minded, can step around the political elites and fill the void. There are millions of voters out there just waiting for the right kind of leadership. In the village halls up and down the country, the quiet revolution is just beginning. Ukip’s recent resurgence in the polls reflects the frustration that many who voted to leave the European Union are feeling with the uncertainty caused by faction fighting between pro and anti-Brexit Conservative members in the Westminster bubble. It is evident, however, that despite attempting to broaden its appeal with a wider political manifesto, Ukip is still as a one-issue Party, as disappointing polling results, post-2016, evidenced. Looking beyond Brexit, if Ukip is to break the Conservative and Labour grip on voter appeal at future general elections it needs to change direction. It would do well to construct its manifesto around a modified version of Switzerland’s semi-democratic model of direct democracy, with its inbuilt assurance of future referendums, thus assuring continuity with its past appeal. This is not a feature of the UK democratic model of any other party at the present time, but does play to Ukip’s strengths, and would certainly shake up UK politics. Yes. All of that is agreed, except one minor point: UKIP did poorly in 2017 compared to 2015 because both of the two main parties fought the election on the basis of respecting the result of the referendum. UKIP’s fox was well and truly shot. There were also issues with leadership and a poor campaign. But generally, UKIP are pushing at an open door in terms of the void in British politics. All they have to do is decide how they are going to fill it. In fact, it’s not just UKIP which is organising to accommodate the disregarded (and dissed) voters. Over 100 small pro brexit, smaller state, pro liberty movements have sprung up and registered with the Electoral Commission.as parties in the last 18 months. One of them is working to engage the others in a Brexit Coalition which can field enough candidates to get a national broadcast allocated. They’ve won several second places in council by-elections recently. Great post, could I repost it in its entirety on my wordpress blog please? I am sure it isn’t just UKIP. There seems to be myriads of small parties popping up all over the place. It’s an indicator of profound dissatisfaction with the status quo amongst large swathes of the public. Which is why I have been writing a lot recently about the risks to the Conservative Party. As you might expect, they are not listening. Almost every Ukip voter I know – through forums etc – loaned their vote and propped up the Tories in the last election. They won’t the next time. And any that went to Labour – there were a few, mainly London based – won’t go there this time either. I’m hearing over and over ‘there is no-one who can represent me’. I’m also seeing Scots and Irish leave voters banding together. Where will these folk go if there is a GE before the UK leaves the EU? If they go to Tories and are let down, anything could happen, and probably will. That sums up my impression of things too, so it’s nice to have my own prejudices confirmed.